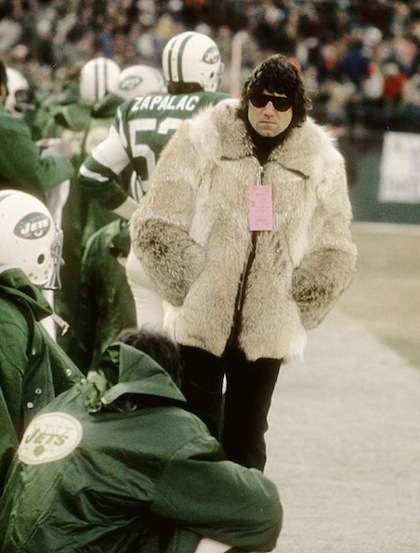 Posted on February 2, 2014, in Sports and tagged alarming frequency, Broadway Joe, Joe Namath, mink coat, Super Bowl. Bookmark the permalink. 13 Comments. Although I was mostly unconscious and swaddled in diapers for part of the 70s – an occurrence that will undoubtedly repeat itself in another 30 years, every Tuesday after bingo night at the Elks Lodge – I, too, miss the 70s. Who doesn’t love a polyester paisley number that clings to every orifice of our flabby untoned bodies and sagging non-existent breasts? 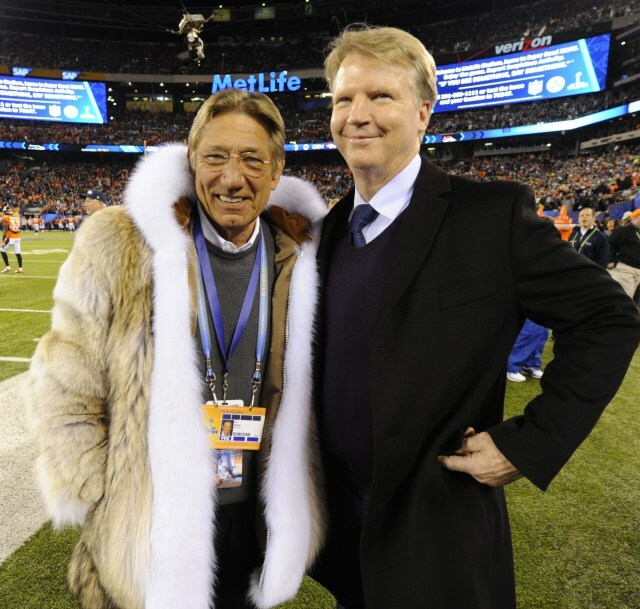 Incidentally, Joe Namath bears a striking resemblance to Maury Povitch in his most recent pic. They must have the same stylist. Life was easier when expectations for breasts were lower. I also want to add that Amy Adams had no boobies in “American Hustle”, which made her perfect for the part. That’s the magic of double-sided tape. my friend. Kind of don’t remember the Seventies, too much beer followed by Jack and maybe soe herbal thingies. I don’t know. Joe Willie came out this weekend saying he had problems after being concussed a few times.Watching the Super Bowl and wondering why. 43 to 8 Seattle. Kind of a sad non-event. The game, I mean. Yeah, kinda like my participation in the Seventies. Rock and Roll, true Rock and Roll ended in 1970. ABBA makes me wince and my blood sugar spikes. It was all I could do not to turn around after the movie and walk right back in for a second show.